Seasoned banking professional Bruce Share is the Chief Operations Officer of BestBanking.com and CEO of its subsidiary, Best Business Advisors. Best Banking is a both a platform and a technology company, acting as an intermediary between entrepreneurs, business owners and consumers seeking various financial loans, mortgages, crowdfunding, Blockchain and investment services, and its financing partners. BestBanking.org supports non-profits, schools, and those who need emergency funds, paying only a small transaction fee, unlike virtually every crowdfunding platform, which also charges a percentage of the amount raised. This unique combination of banking, crowdfunding and helping, and multiple “Best” stand alone businesses providing important expertise to small business owners, will power the entire “Best” ecosystem, or “Bestonomics,” on a global basis. Prior to joining BestBanking.com, Bruce was, for over 24 years, the Managing Director and Cash Flow Solutionist™ at Share Business Growth Strategies, LLC. He provided his business and strategic planning and financial expertise to startups, small businesses experiencing cash flow problems, and companies in growth mode, which is continuing in his new Best Business Advisors role. Clients have included startups, franchisees, existing companies with Cash Flow problems, and businesses in need of finding solutions to financial problems. His first consulting client was the government of Kuwait, which hired him to author and present a 5-day seminar on Costing of Bank Services, as part of the Government’s post-occupation decision to train its nationals to run Kuwaiti industries. Bruce brings with him a large and growing network of industry experts he can call upon when a client has specific needs, as well as connections to bank and nonbank lenders, factors, and other companies providing funds to small businesses. Bruce continues to present his seminars for the Small Business Development Center Northeast Region, The Enterprise Center at Salem State University, as well as his own seminars and joint seminars with colleagues in various fields for Best Business Advisors. These seminars include critical small business topics including How to Write an Effective Business Plan, Maximize Cash Flow, Pricing Your Products and Services, Understanding Your Business Financials, Maximize Cash Flow-Protecting Your Business and Personal Financial Assets, and Develop Your Business Model. 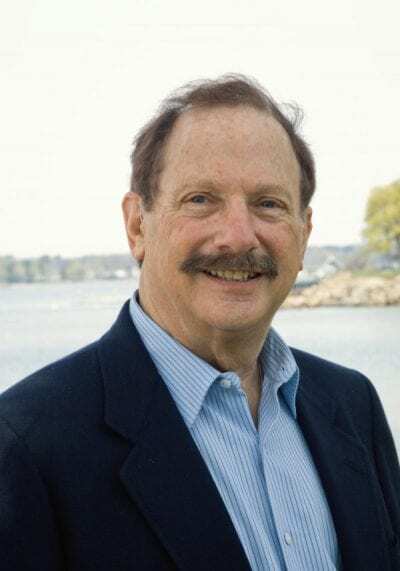 He taught International Management at Fisher College, and has been a guest lecturer to Entrepreneurship and Business Finance classes at Babson College, Boston College, Bentley University, Dean College, Fisher College, and Northern Essex Community College. Bruce has also been an evaluator in the Babson College undergraduate and graduate Business Plan competitions for several years, a coach in Babson’s Coaching for Leadership and Training Program, a Business Plan reader for “Entrepreneurship for All” in Lynn, Massachusetts, and he facilitated a nationwide conference call on “Maximizing Cash Flow to Scale Your Business” for graduates of the Interise Streetwise MBA™ program. For 21 years, Bruce was a senior level financial and administrative manager and Strategic Planner at Bank of Boston Corporation. He helped facilitate a corporate-wide strategic plan, prepared and executed Business Plans and budgets as the Senior Financial Manager of multi-billion dollar domestic and international strategic businesses units, and led the development, incorporation, and merger/acquisition of several internal businesses and subsidiaries. He was one of the original analysts responsible for developing and implementing its first internal profit center reporting and budgeting system. Bruce was Secretary of the Defeat Diabetes Foundation, its Board of Directors, and of the Board’s Finance Committee for 6 years. He has a Bachelor of Science degree in Finance from Long Island University, plus an MBA and a Certificate in Advanced Management from Babson College.